After you submit your MBA application, you may receive an invitation to interview. First, we hope you take time to feel excited to have made it to this stage of the process! But then you might have some questions: What interview format options are there? What sort of questions will I be asked? Who conducts the interview? How should I prepare? Like anything else, your MBA interview is an opportunity. Some applicants may look forward to an interview but many of us may feel nervous (which is natural). If you are nervous, some key advice: The interview affords one of the only formal opportunities for official face-to-face interaction during the MBA application process– seize it. This interview can be just the thing the Admissions Committee needs to stitch together the rest of your application elements and we really enjoy getting to know you! Different schools have different interview processes. 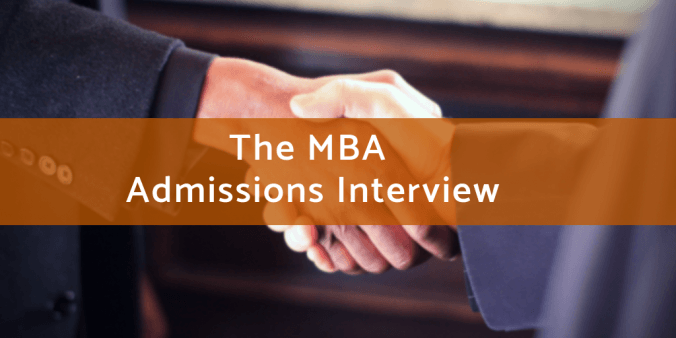 It’s important to be familiar with how the Texas McCombs MBA program runs its interview operations. Be sure to read all confirmation emails and instructions very carefully. There may be various formats, booking procedures, or location & parking information provided for you. There is an online calendar from which you can select an interview slot that works with your schedule. We will inform you of the last date your interview needs to be completed. The only exception to this is booking an interview in your local city with an alumni interviewer; that process is slightly different, but we provide the step-by-step instructions in our interview invitation communications if you decide to go that route. All of our student interviewers, alumni volunteer interviewers, and admissions officers are fully trained on conducting an interview that is professional, fair, impartial and helpful. Interviews typically last anywhere from 30 minutes to an hour. Please watch your email after you submit your WPE application to be able to respond to an invitation and secure your preferred time slot. All interviews are conducted by members of the Admissions Committee and can typically last from 30 minutes to an hour. Interview invitations can come at any time during the application round. Most interviews follow the general framework of introductions, questions from the interviewer for you to answer, then some time is left at the end for you to ask your questions about the program and/or application process. Full-Time Interviewers– Choose Wisely: Each type of interview affords individual benefits. If you’re located in Texas, we recommend trying to make it to campus for an interview. If you are outside of Texas but have never been to campus or met us in person before, we highly recommend interviewing on campus to get a feel for the facility and community culture. If you can’t make the trip due to work conflicts or if you are internationally-based, you might consider taking advantage of our alumni interviewers in a city near you. We also offer interviews in markets around the world, such as Korea, China, India and Mexico. Or maybe none of that works for you and online/video chat is the only way to get it done. No problem! That option is always available. Don’t Be On Time, Be Early: Arriving early is “Interviewing 101,” yet it still manages to trip up even the most prepared of candidates. Arriving early is even more critical if you’ve never been to campus or navigated our parking before. Please follow all the instructions in your confirmation email about how to meet your interviewer. Pace Yourself: You’d be surprised how many times, at the end of an applicant’s long answer, we are asked to repeat the original question. Most often this happens to people who try to put too much into the first answer for fear of not being given an opportunity later on to address their prepared examples. Don’t worry, we’ll get to it. Plus, sometimes there is an opportunity at the end of an interview to mention anything we didn’t address in the formal line of questioning. Know What We’re Looking For: We listen for confidence, clear and concise communication of career goals, concrete examples of teamwork and leadership, in-depth knowledge of our MBA program, and overall genuine enthusiasm. Also, the interview can be a place to showcase secondary skills that are difficult for us to determine solely based on your application: interview skills, self-awareness, communication style, and “hire-ability.” Keep these in mind so we can get a feel for the application intangibles. Come with questions: A good list of questions for your interviewer can illustrate a few key things about you as a candidate: You’ve done your research, you care about our program, you have envisioned yourself as an MBA, and you can formulate coherent thoughts under pressure. We usually leave anywhere from 10-15 minutes for questions, so limit your list to 2-3 good ones and have a few backups. While our interviewing style is admittedly less intense than corporate recruiters, don’t let our laid-back Austin attitude fool you. The Admissions Committee uses the interview as a way to add character, depth and spirit to your written application, so keep these tips in mind to ensure a positive outcome. Good luck & Hook ’em!